You can select your preferred Beauty Bespoke Package and call us directly, or visit our Salon. You can also buy online by scrolling down and selecting from our Charis Gold Silver or Bronze Bespoke Packages. We change our Bonus Treats without notice. At Charis we plan each treatment carefully and tailor them to suit with your needs in mind. 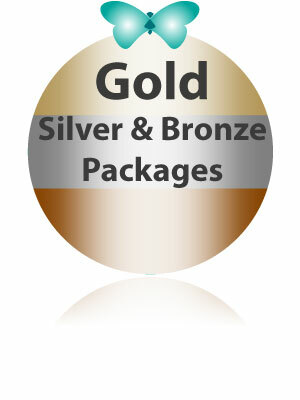 You can now choose a Charis Gold Silver or Bronze Package. Then from our full list of treatments choose the ones you wish to pamper yourself with to the value of your package. Packages are valid for up to 9 months. Instalments options are available. Just contact us for options. Select the Bronze Package and enjoy a Bonus Treat worth £25, a Rejuvenating Scrub with a citrus blend and a Relaxing Neck and Shoulder Massage. Select the Silver Package and enjoy a Charis Bonus Treat worth £50. A Bespoke Facial to relax and treat your skin leaving your skin with a healthy looking glow. Use the selector below, to choose your Bespoke Beauty Package. You can specify your preferred delivery address during the checkout process and we’ll send your Bespoke Beauty Package confirmation by First Class post. Either call in to Charis Beauty Clinic, or phone us.